Aluminum is found primarily in the bauxite ore and is remarkable for its resistance to corrosion (due to the phenomenon of passivation) and its light weight. It has excellent corrosion resistance and durability because of the protective oxide layer. It is used in many industries to manufacture a large variety of products and is very important to the world economy. Structural components made from aluminum and its alloys are vital to the Aerospace industry and very important in other areas of transportation, building and construction. Aluminum is a soft, lightweight metal with normally a dull silvery appearance caused by a thin layer of oxidation that forms quickly when the metal is exposed to air. It is nontoxic (as the metal), nonmagnetic and nonsparking. It has a tensile strength of about 49 megapascals (MPa) in a pure state and 400 MPa as an alloy. Aluminum is about one-third as dense as steel or copper; it is malleable, ductile and easily machined and cast. The paints used for coil coating are made up of pigment, resins and solvent. The pigments provide the color. The resin binds the coating to substrate and provides the paint’s characteristics such as durability, weather resistance, flexibility and is the “glue” holding the pigment particles to the substrate. The solvent is evaporated during the curing process. This resin has widespread use and is available in a broad spectrum of colors. It can be applied to a wide variety of substrates. Polyesters are a broad group of chemical compounds and have diverse characteristics and can be tailored to fit many end uses. They can be developed with good weathering properties but not equal to PVDF (Kynar) coatings. 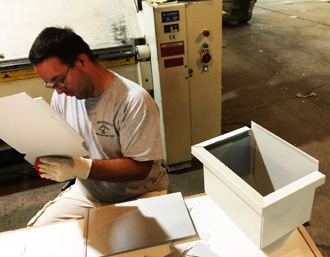 Polyesters in general are the “cheaper” paints but the prices can vary greatly depending on color and the required characterisitics of the resin. Kynars are fluropolymers (PVDF) that are marketed under the name Kynar. The carbon/fluorine bond is one of the strongest chemical bonds known. This Kynar resin is similar in some respects to Teflon, the popular non-stick coating. This aids in most environmental pollutants washing off in the rain. It is also the reason that adhesives do not stick to it. Paint using this resin is usually offered in a medium or low gloss finish with excellent weathering and color retention characteristics. This results in warranties of 20 years or longer. This product is widely used in architectural applications and is more expensive than polyester. 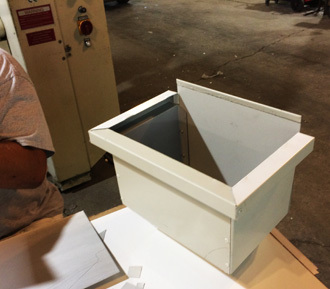 Kynar systems are available in two, three and even four-coat types for specific applications. The two-coat system is the industry standard. Galvanized steel has gone through a chemical process to keep it from corroding. The steel gets coated in layers of zinc because rust won’t attack this protective metal. For countless outdoor, marine or industrial applications, galvanized steel is an essential fabrication component. The principal method of making steel resistant to corrosion is by alloying it with another metal, zinc. When steel is submerged in melted zinc, the chemical reaction permanently bonds the zinc to the steel through galvanization. Therefore, the zinc isn’t exactly a sealer, like paint, because it doesn’t just coat steel – it actually permanently becomes part of it. The zinc goes through a reaction with the zinc molecules within the steel to form galvanized steel. The most external layer is all zinc, but successive layers are a mixture of zinc and iron, with an interior of pure steel. These multiple layers are responsible for the amazing property of the metal to withstand corrosion-inducing circumstances, such as saltwater or moisture. Zinc also protects the steel by acting as a “sacrificial layer”. If for some reason the rust does take hold on the surface of galvanized steel, the zinc will get corroded first. This allows the zinc that is spread over the breach or scratch to prevent rust from reaching the steel. Whereas galvanized is cold-rolled steel with a zinc coating, galvalume is the same substrate with an aluminum/zinc coating. 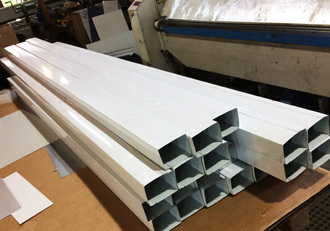 Unpainted galvalume, known as AZ55, is produced with a clear acrylic coating for the building and construction markets. The acrylic-coated product goes by such trade names as Acryulume and Galvalume Plus. Given the proportions of 55% aluminum and 45% zinc by coating weight, galvalume with an acrylic coating offers superior corrosion resistance and a uniform appearance. In metallurgy, stainless steel (inox) is defined as a ferrous alloy with a minimum of 10% chromium content. The name originates from the fact that stainless steel does not stain, corrode or rust as easily as ordinary steel. The material is also called corrosion resistant steel when it is not detailed exactly to its alloy type and grade, particularly in the aviation industry. As such, there are now different and easily accessible grades and surface finishes of stainless steel to suit the environment to which the material will be subjected to in its lifetime. Due to its superior processing properties, extraordinary durability and exemplary ecological compatibility, RHEINZINK® is a timeless, weather-resistant material of lasting value, ideal for high-quality roofs, wall claddings and roof drainage systems. RHEINZINK® is “alive.” Over time, an unstructured protective coating, uniform to the naked eye, is formed from basic zinc carbonate. The high corrosion- resistance of this structure caused by atmospheric influences, is the reason why the material RHEINZINK® needs no maintenance. Coastal and beachfront sites where salt spray abounds and harsh polluted environments where corrosives can quickly react with construction materials are no match for Follansbee TCS II. As a first line of defense, TCS II is armored with a tough and virtually impervious skin known as ZT Alloy. Beneath the alloy is a Type 304 stainless steel substrate, itself extremely resistant to chemical attack. Researchers at California State University exposed TCS II samples to a 5% salt spray for 2,400 hours with no evidence of corrosion. More recently this test was repeated for 5,164 hours with the same results – zero rust. Copper is a malleable, ductile, metallic element having a characteristic reddish-brown color: used in large quantities as an electrical conductor and in the manufacture of alloys, as brass and bronze. 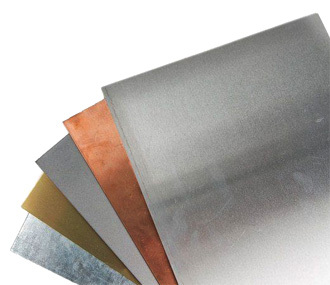 Premium copper sheets are used for copper flashing and for a variety of purposes including uses in counter tops, bar tops, backsplashes, roof flashing, metal roof dormers, home improvements, and construction. 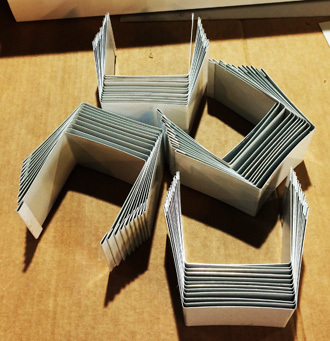 Copper Sheets are a premium copper alloy 110 (99.9% pure copper) manufactured to the specifications of ASTM-B152, dead soft-annealed and they are handled with care and packaged carefully to provide the best possible end product. Copper is shipped in sheets or rolls worldwide. 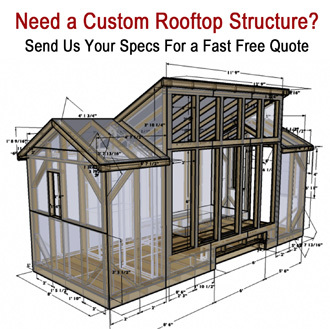 Need a Quick Project Quote? 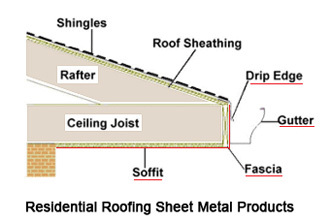 Have Specialty Construction Make Perfect 7 Inch Seemless Gutters Right At Your Job Site! Play To See How It Is Done! 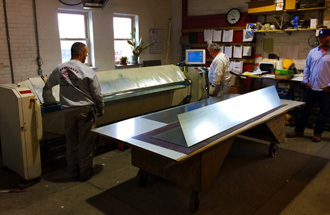 If you are looking for Superior Craftsmanship and a Dedicated Custom Fab Team that delivers call Specialty Construction to discuss your project plans. 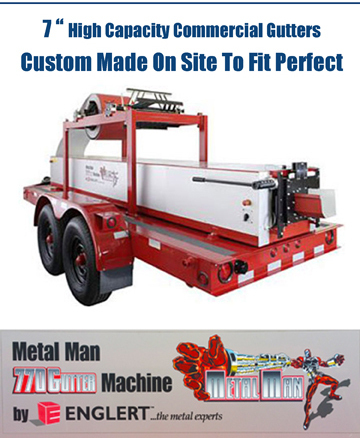 Other Custom Sheet Metal Made To Order, Call Now! Better Quality & Best Price!